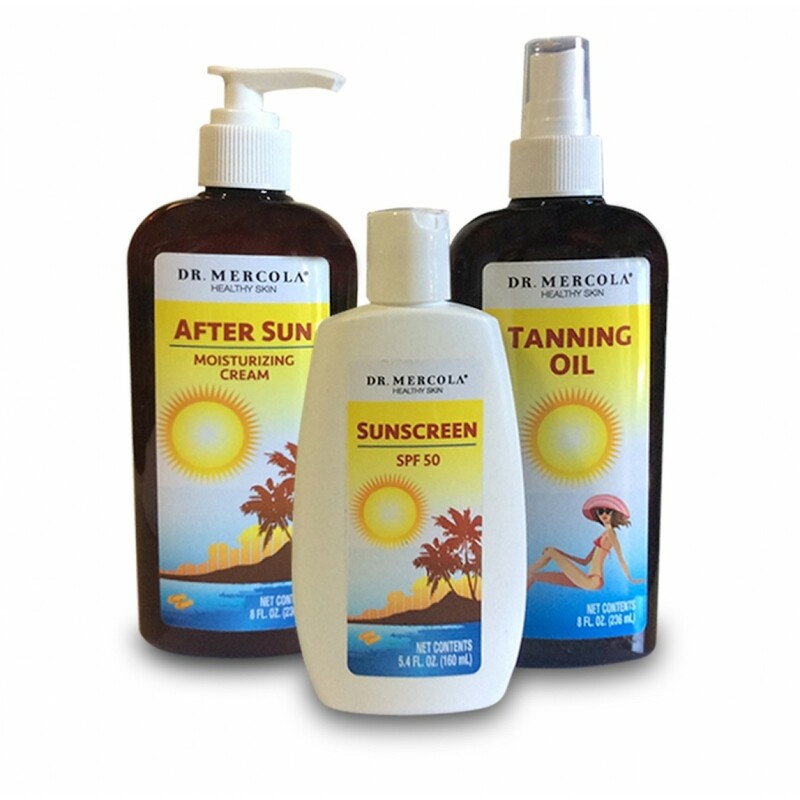 Dr Mercola's all natural Sunblock, Tanning Oil and Aftersun together at a special pack price. 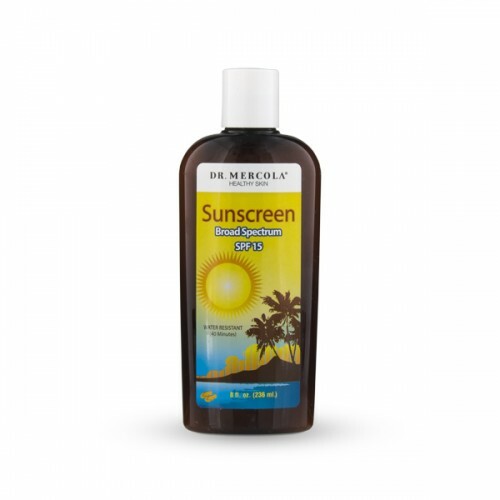 Select which factor Sunscreen you want in your pack. 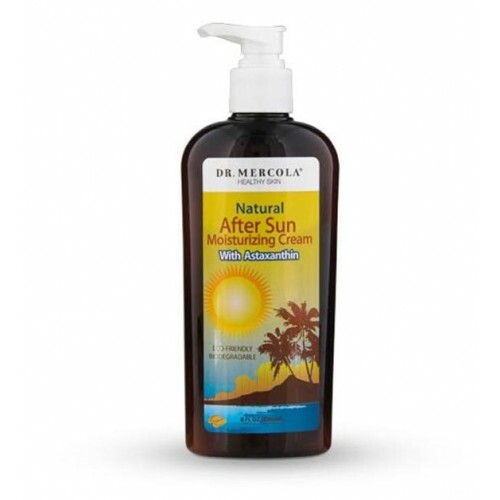 Dr Mercola's Natural Sunscreen SPF 15 provides you 100% chemical-free protection with incredible healthy ingredients. This Broad Spectrum Sunscreen is available in SPF 15/30 15 is a lighter formula that’s safe for both adults and kids. This zinc oxide-based formula contains 9.5% zinc oxide and no titanium dioxide. Plus, it provides 40 minutes of water resistance between applications. SPF 30 obviosuly then provides you with deeper cover. Contains antioxidant-rich green tea to help protect your skin. Naturally nourishes, protects, and moisturizes your skin. You won't find any artificial fragrances or potentially toxic ingredients of any kind. Astaxathin is one of nature's most powerful antioxidants. Sunflower oil is a moisturizer that contains vitamins A, D, and E. This soothing ingredient is often used to moisturize dry, weathered, and aged skin. Sunflower wax helps make sunscreen water-resistant without the use of petroleum products. Lecithin is found in the membranes of plant cells (soy). It is widely used in cosmetics as an emollient and water-binding agent. Coconut oil has been used by islanders for hundreds of years to moisturize their skin and is likely to be mild and gentle on your skin. Used as an emollient, glycerine moisturizes your skin. Jojoba oil is a non-fragrant natural emollient that has moisturizing and skin-conditioning properties. Tocopheryl acetate also acts as a natural preservative. Shea butter is a natural plant lipid used as a thickener and emulsifier. It also has effective moisturizing properties. Eucalyptus oil is an essential oil. When mixed with other oils, it can be absorbed by your skin. Best of all, it may assist other oils in absorption, as well, which can support the moisturizing process. Aloe contains over 130 active compounds and 34 amino acids believed to be beneficial to your skin. Pomegranate contains vitamins and antioxidants. It also contains 3 types of polyphenols – tannins, athocyanins, and ellagic acid. As a source of Vitamin E, this oil can help condition the skin. Zinc oxide is a mineral that’s found naturally in the earth’s crust. For our sunscreen products, we use a form that’s derived from natural sources. Zinc oxide has been used all over the world for over 75 years as a safe ingredient to help prevent excessive sun exposure. Each ingredient in this outstanding product has been carefully chosen to specifically protect and nourish your skin. Unlike some chemical sunscreens that may absorb ultraviolet light, zinc oxide helps reflect and scatter away both UVA and UVB rays from your body. It accomplishes this through a micronized particle size. 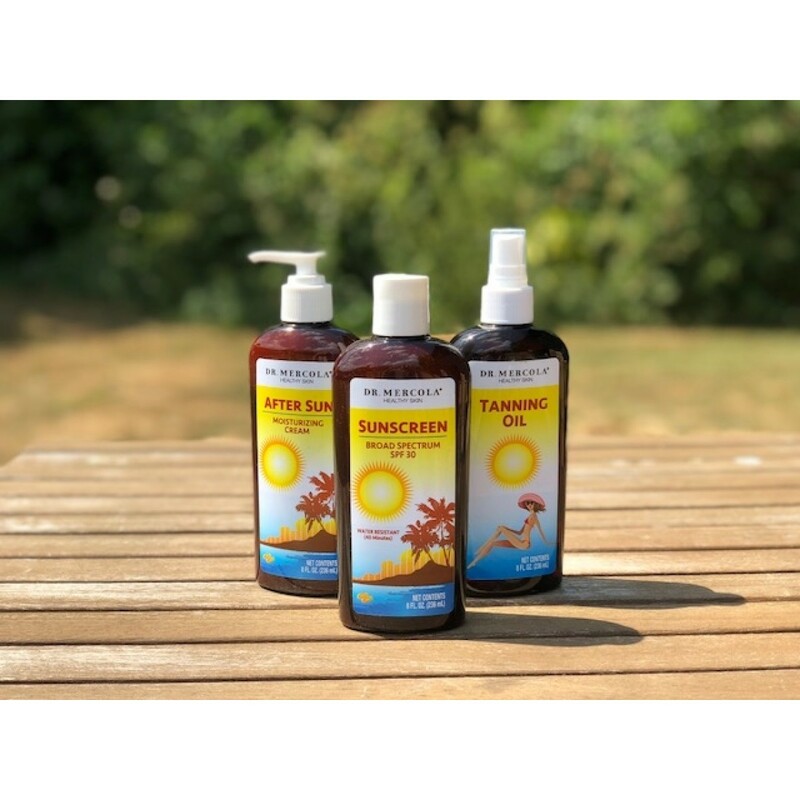 Although you may notice a small amount of visible white on your skin when applied heavily, our zinc oxide sunscreen applies smoothly onto your skin, unlike the old pasty zinc creams that many of us may remember lifeguards wearing decades ago. Many of the most popular products on the market today contain ingredients that you probably would never consider putting on your skin if you knew what they really were. And, believe it or not, even ingredients that have been shown to dry out your skin! 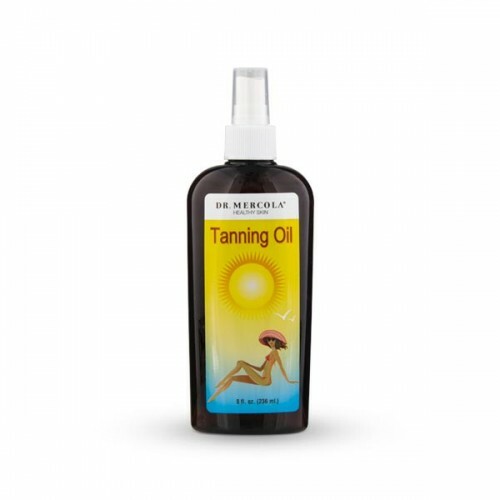 Dr Mercola's Tanning Oil offers you the best of all possible benefits. With a perfect blend of nine ingredients, each serves its own special purpose in nourishing, protecting and moisturizing the skin, while promoting a dark, rich tan. 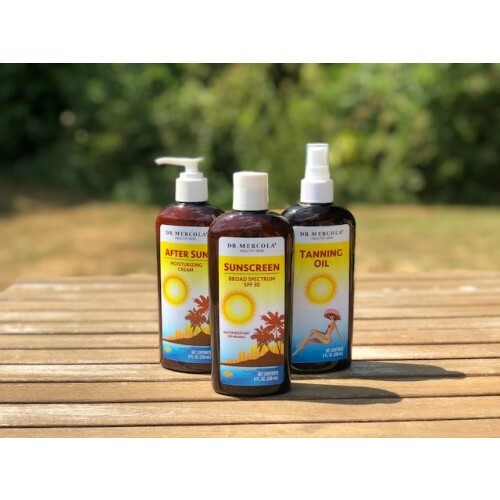 We highly recommend using Astaxanthin as well to help promote your tan and allow your skin to be in its best health to help create a beautiful tan. 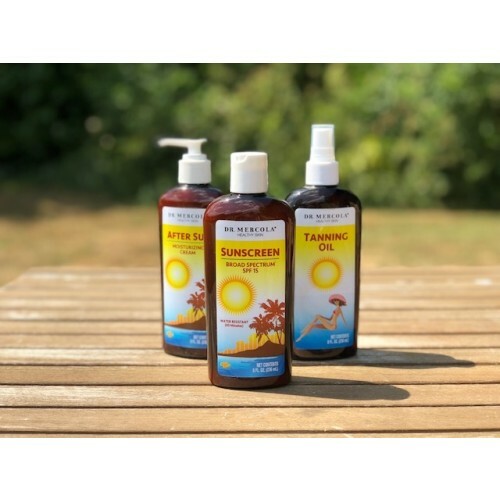 This after Sun Moisturiser with Astaxanthin… and its blend of powerful antioxidants for silky-feeling skin, is the best choice for skin care after sun exposure. It contains Green Tea which is one of the top antioxidants in high-quality natural skin care products… Green tea polyphenols (EGCG) are known to support youthful-looking skin and, therefore, are key ingredients in anti-aging skin care. They help reduce potential damage from overexposure to the sun… while hydrating, moisturizing, and firming your skin. In addition Astaxanthin helps focus a solid supply of antioxidants to help protect your skin from sun damage and neutralize free radicals. Listed on idividual product pages. Instructions for each listen on bottle. We do advise not swim with suncreen on as it may damage the planets Coral Reefs.